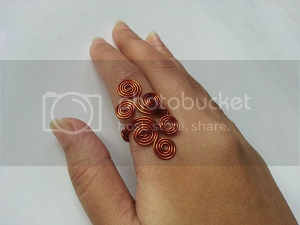 Today, we’re going to share a tutorial from our favorite contributor Muhaiminah Faiz where she’ll teach you how to make rings using wirework jewelry techniques. Prepare your wires and tools. 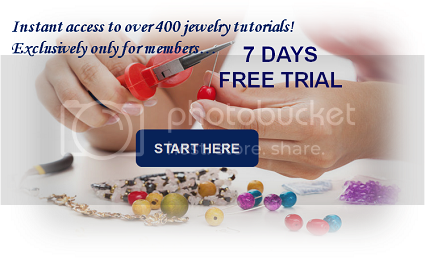 Firstly, measure your ring size and convert it into inches or cm, as you want. 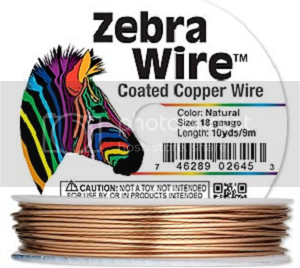 Take the wire bundle and hold one end but don’t cut the wire from the bundle. 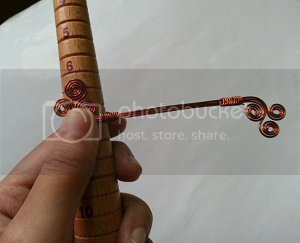 Take a looping plier and make a small loop on the wire. 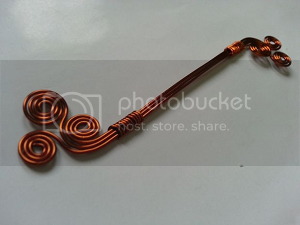 Start winding the wire around the loop to make the swirly shape. Wind the wire around the loop 3-4 times, but not more than that. Make more swirls, following the sizes on the image. 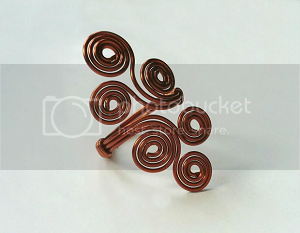 Place the 3 swirly wire pieces side-by-side, keeping the longer piece in the center of the short ones. Arrange the wires as shown in the picture. 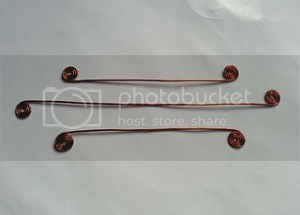 Take a piece of wire (4-5 inches). 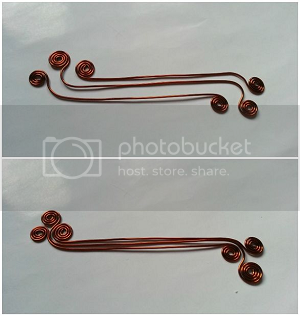 Hold the 3 swirly wire pieces together (side-by-side) as arranged. 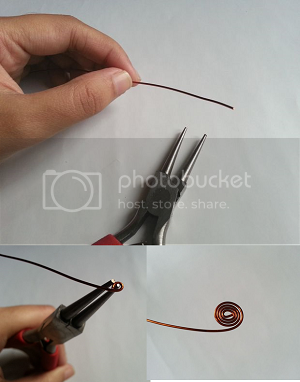 Now start coiling the 3 pieces together with the wire, coil the wire 4-5 times or as many times as you want. You can coil the wire all the way to the other end but I didn’t, I coiled the wire half an inch around both ends of the 3 swirly wires. 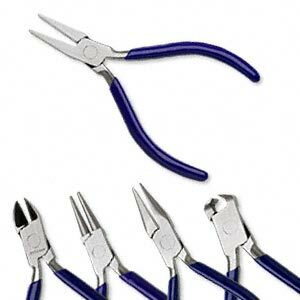 After you’re done coiling the wire use a flat plier to flatten the coils, just to make sure that the coiling is secure. 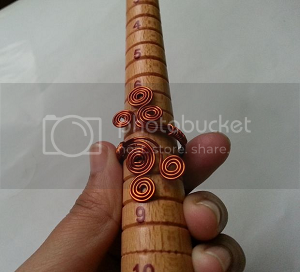 Now, simply wrap the straight part of the wires around the mandrel or a round object with the swirls facing towards each other. Done! You can easily adjust the ring size. 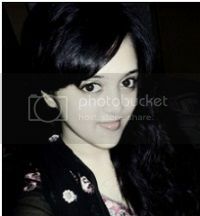 Hi, I’m Muhaiminah Faiz, from Bangladesh, studying Anthropology and I’m CRAZY about crafting! I loved being creative and crafty ever since I was a kid. My grandmother, mom and uncle Fahim (my moms brother) are my inspiration. I love to make things as simply as possible and with easily available materials. 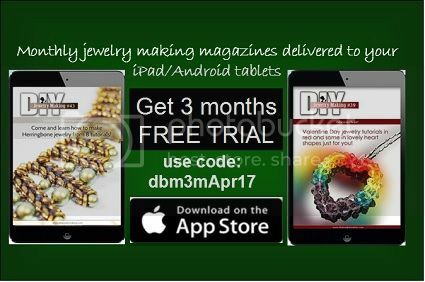 I love making jewelries, home decors, cooking, drawing, painting, taking photos, editing photos and much more. Read more…. 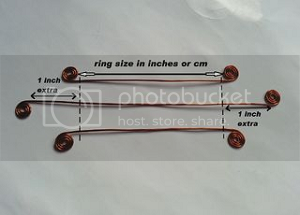 WANT TO LEARN MORE TECHNIQUES ON HOW TO MAKE RINGS? All new paid and free subscribers will start at the current issue!